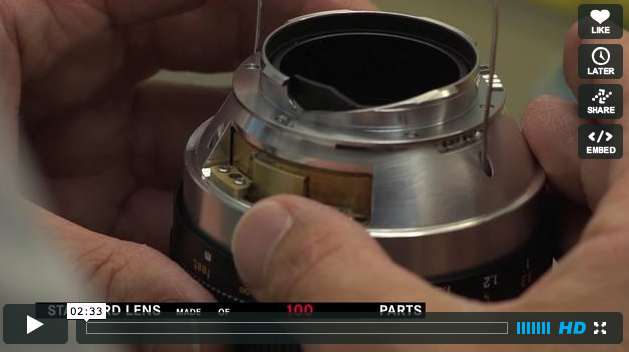 A dear friend of mine sent me the link of a video that illustrates how Leica manufactures their lenses. It is amazing how much craftsmanship is involved. No wonder these lenses are so expensive. I really appreciate this dedication to detail and hand assembly. I watched this video and it made me feel differently about my lenses at home. I guess I will pick them up today and look at them with different eyes. It is fascinating that some of the best lenses in the world are hand assembled and don’t come out of a fully automated clean-room. I guess I have to go online to show my appreciation at my favorite Leica online store. Credit card where are you? Actually I am happy with what I have and don’t need any other lens. You can’t get them anyway. Enjoy the video. Snow trucks Hipstamatic, still filling a gap.